Forget WhatsApp and Skype and switch to Viber, especially in China. Viber is perhaps the only voice-over-internet/messaging application that has continued to fight to have a presence on the internet against the likes of Skype, Facebook Messenger, and WhatsApp. 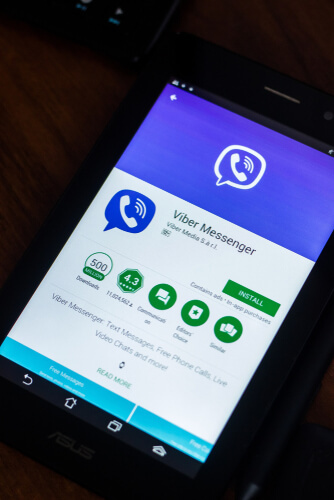 As a result of that fight, Viber continues to find a lot of success in gaining attention from a ton of online users since it came onto the scene back in 2010. Our research shows that the app is so popular among online users from a number of reasons. The first reason for its popularity is its user interface and how easy it is to navigate it. Not only that, Viber makes sure that the users have an easier time when it comes to signing up for the service. It achieves that with the help of a straightforward installation process. Once the user has downloaded Viber onto his/her device, all that he/she needs to do is to input his/her phone number. After that, the user should receive a Viber verification code. And that is pretty much it to get set with Viber. The official Viber app has different versions for different major platforms. Hence, the user should not worry about all the compatibility issues that some other messaging apps come with. Our research shows that Viber has around 200 million users globally. This means that Viber has managed to strike a chord with a huge majority of dedicated smartphone users. As a result, the value of the company has also increased. The valuation actually led the Japanese e-commerce giant Rakuten to buy out the service for a nine-figure sum. With that aside, the online consumers are the real winners here since they get to enjoy and benefit from all the nice Viber features which save them time. We’re talking about tools such as fast group changing along with conversations gallery and photo doodling. Why has China blocked Viber? As mentioned before, Viber is a messaging app of an international scale. That is why consumers like to use Viber no matter where they are. The unfortunate part of the whole situation here is that there is an increasing number of countries who are banning the use of Viber within their borders. In other words, they don’t like Viber. And hence do not allow Viber. One of the more prominent countries that have banned Viber is China. The world already knows that China censors its internet extremely heavily. The government in China has taken a lot of security measures to make sure that all the 1.4 billion people in China have access to good homemade apps in order to achieve whatever they want to achieve in the online world. This Chinese agenda, right or wrong, relies on support from the country’s infamous Great Firewall of China. People who do not know what the Great Firewall of China is should know that it is more like a massive online filtering mechanism which keeps out a large majority of the information that is available on the internet for people who live in different parts of the world. People in China cannot access the internet freely because the internet there is restricted unlike in Europe or North America. We have also come to know that in all probability, the Great Firewall of China is the largest censorship tool currently operating in any part of the world. It is possible to unblock Viber in China. But to get access to Viber in China the user has to overcome a lot of obstacles. So instead of forcing users to do all the heavy lifting, we suggest a tool. A tool that guarantees access to Viber in China in a hassle-free way. That tool is a VPN service. A good VPN service can easily unblock Viber in China. 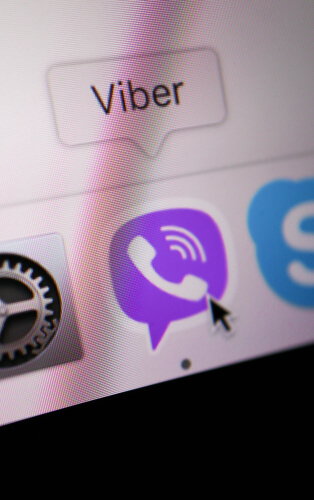 In short, a VPN service or a Virtual Private Network service enables users to make use of Viber in China with the help of an encrypted connection. Encryption is the method with which VPN services encode the user’s data that travels the internet via the user’s device. Data usually travels the online world in bits. When a VPN service encrypts those bits, they can pass through the Great Firewall of China. Letting go of encryption for a moment, we find that a top-notch high performing VPN service can also assist users to hide their traffic via a VPN connection. A VPN service does that by facilitating the user’s internet connection via its own remote servers. Here is the step by step guide on how to unblock Viber in China. Our research shows that IPVanish is the best VPN in China. Download the official VPN app and then install it on the relevant iOS and/or Android device. Run the app and connect to a VPN server that is located in a country where Viber is not blocked. Then launch the official Viber app. Once the user allows his/her data to pass through these VPN servers, the user is essentially making changes to his/her original IP address. Users have the option of selecting a VPN server that makes it seem like they are from the US or the UK or any given region that exists on the face of the earth. All of that is achievable with the help of a mere VPN connection with a server that is located in the above-mentioned countries. Once the user has learned how to use a VPN service, he/she is free to change his/her location to any place he/she likes. A VPN service can even provide access to geo-blocked channels and streaming services. Our research shows that in order to circumvent the Great Firewall of China, the user no choice but to sign up for the best VPN service provider. The market offers users a ton of VPN service providers and users are free to have a look at them with the help of a single search. However, the problem with most of the VPN services is that they do not really work in China let alone unblock Viber in China. In order to make sure that the user signs up for the VPN service that actually works in China, we have compiled a list. Another VPN service provider that needs to introduction. IPVanish is the best in class king of the ring. The company has made its fortune by offering users some of the highest speeds in the business. And that is why this VPN service is great for users who like to engage in a ton of bulk downloading and/or streaming. Our research shows that the company is based in the US and that is the only reason why some users would want to stay away from it since the US government has quite a reputation for activities such as eavesdropping. IPVanish essentially guarantees the user that their data remains secure and safe thanks to the company’s strict zero-logs policy. Just like all other elite VPN service providers, IPVanish offers users a 256-bit AES encryption connection. It also makes use of reliable VPN protocols. Users who are looking to have protection for all of their internet-enabled devices would find it calming to know that IPVanish allows them to connect up to 10 simultaneous devices per account. IPVanish also does not limit the bandwidth that users can consume. There are no limits on peer-to-peer downloading either. When a user subscribes to IPVanish it means that he/she gets to fully decide whether he/she wants to download and install the official IPVanish client. However, users who do not want to use IPVanish on the above-mentioned platforms should opt for the company’s SOCKS5 web-based proxy service. This service does a good job of keeping the user’s location pretty much hidden. In the process of doing that it also grants the user access to a ton of online geo-restricted streaming services. IPVanish even offers users a multiple number of web browser extensions that users can install according to their own preferences. Readers should know that these are just some of the reasons why we think IPVanish is the best VPN to unblock Viber in China. Click here to sign up for IPVanish from the official website and that too on a discount right here and right now. The second spot goes to NordVPN. This VPN service has improved leaps and bounds in the last year or so. So much so that now it is considered as a genuine challenger to IPVanish’s throne. NordVPN has provided its VPN service to users for more than a full decade now. And the company has spent that time developing a good number of unique features. These features more or less supplement an already good VPN service. NordVPN makes use of a strong 256-bit AES encryption connection to provide maximum security. Not only that, the company also offers users a Double VPN feature which increases the security of the user’s data by passing it through not one but two VPN servers. NordVPN also allows users to connect to different VPN servers based on what they want to do while they are in the online world. The company has optimized these VPN servers for bulk downloads as well as gaming along with torrenting and high definition streaming. Apart from that, users also get the chance to try out the option of connecting up to a total of six of their internet-enabled devices on a single account. So sign up for NordVPN if the main aim is to provide the maximum amount of protection to the maximum number of devices. Online consumers who want more than just a service that provides privacy, NordVPN is the perfect choice because it also offers tools for near-total online anonymity. How does the company do that? It does that by offering a feature that it calls Tor over VPN. Using this feature NordVPN not only provides privacy but also anonymity. Expectedly, this feature along with the official NordVPN apps for various platforms is enough to unblock Viber in China and lots of other restrictive countries. Without NordVPN, the only other good options for users are IPVanish and ExpressVPN. NordVPN is very potent at unlocking content in China because it has a different range of VPN servers that make use of the new obfuscation technology which allows users to utilize services such as VPNs without any detection. The company also rewards its subscribers with unrestricted and unlimited access to streaming services, channels and sites that have geo-restrictions on them. Users can thank the company’s SmartPlay software for enabling that feature. The official NordVPN software has the ability to alter and also hide the user’s IP address to the point that no one can detect the subscriber. Not only that, NordVPN also provides users with features using which users can select an IP address which is reserved just for the user himself/herself. It does that by offering support for, what the community calls, dedicated IP addresses. But NordVPN doesn’t try to be one of the best VPN services available in the market. It tries to be the best. And in its efforts to become the best, the company offer another useful feature in the form of the CyberSec feature. Coupling this feature with the SmartPlay feature, NordVPN is able to make sure that malware and ads don’t even touch the user. Readers should understand that this is just a snapshot of the thing that they can expect after they have signed up for NordVPN. So subscribe now to NordVPn. Click here to read our full NordVPN review where we break down each and every feature of this VPN service. And click here to sign up for NordVPN from the official website and at a discount right here and right now. Our research shows that ExpressVPN is one of the most reliable VPN service available in the market right now. Not only that, it is also one of the few VPN services in the market today that has won many awards for its contribution to the VPN industry. ExpressVPN is based In the British Virgin Islands. The company currently has a sturdy enough network that consists of 2000 VPN servers. 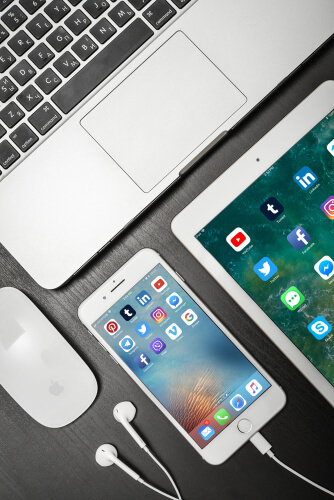 ExpressVPN offers users to connect up to three simultaneous devices per account. It makes use of a 256-bit AES encryption which actually offers military-grade protection. ExpressVPN is a VPN provider that offers users a great number of unique features that one would not find in mediocre VPN services and even some of its own competitors. One of those unique features is split tunneling. Using this feature, the user gains control of what he/she wants to encrypt and what not. ExpressVPN also offers users stealth VPN servers which users can utilize in countries such as China with high censorship. The company makes use of the very secure OpenVPN protocol by default and that is a good thing since it is the most reliable protocol available in the market today. ExpressVPN also offers users a great customer care experience. By that, we mean that it is always there for the customer to help them out. Subscribers have the option of contacting ExpressVPN via its social media page, live chat and/or email message. As for the VPN client itself, our research shows that it is easy to use and also easy to navigate through. Users also have the option of downloading the VPN service directly to their WiFi router. This way they can protect an unlimited number of simultaneous devices. ExpressVPN and its stealth servers provide users with the perfect hiding technology using which users can roam the internet freely even in the most restrictive of places such as China. Click here to read out full ExpressVPN review. It is not hard to unblock Viber in China. That is the message that we want to give to readers who have made it this far. With the help of the right tools, any user can unblock Viber in China. The process is actually a breeze once the user figures out how to actually go about signing up for a VPN service and then installing it on his/her device to unblock Viber in China. All that readers have to do here is to sign up for a VPN service that we have mentioned above. Of course, there is always the question of which VPN service would fit which user. To answer that question, users should take some time out and read more on what type of features each of the above-mentioned VPN services is offering to users. Then the user should compare that with his/her own needs and how he/she wants to experience the world of the internet. This is also a good time to mention that readers should definitely give our reviews some time as well. These are some in-depth guides on each VPN service that we have mentioned in this guide. Our top picks for the best VPN service, in order, are IPVanish, NordVPN, and ExpressVPN. Of course, users are free as always to make up their own mind about which VPN service they want to use to unblock Viber in China. In the end, users should remember that a VPN service will not just unblock Viber in China but almost every other site in existence. A VPN service would also protect them from government agencies, spies and hackers. Really, for the amount of money VPN services demand these days, it is pretty obvious who is getting the better out of this deal. Now, readers should go ahead and share this guide with their friends to let them know how to unblock Viber in China as well. For any questions, queries, thoughts, cyberpunk world and other thoughts, users should use the comments section below to hang out with us. Always the same problem with China – everything is banned there. Last year I had holidays in that country, and the trip became much more comfortable with Nordvpn, that you mentioned in your article. I do not understand a lot about VPNs, but if it unblocks pages and apps that I want to reach it is perfect for me. It really is one of the very few VPNs that work consistently in China.